The discussion will look at the craftsmanship and complexity of the works of three internationally known, contemporary artists: the UK’s David Spiller, Santa Fe’s Gino Miles, and Indianapolis’ Jason Myers. Much can be learned from exploring an artist’s process; despite trends in technology, many of today’s artists employ classic methods to create their art (even when combined with cutting edge tools). Some caveats exist when purchasing contemporary art and earlier genres. Even pieces that look “random” are often not — a lot of time and thought goes into the preparation and planning for a piece of art, even if the goal is for that piece to look haphazard. 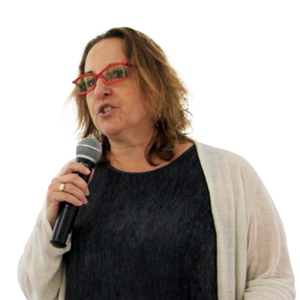 After a successful 20+ year legal career defending men and women on death row in the highest courts of the US, art enthusiast and collector Rhonda Long-Sharp decided to formally pursue her passion for the arts in 2005. Beginning as both an art consultant and modern art broker, Long-Sharp specialized in post-war and contemporary multiples and works on paper. Recognizing the internet’s inherent global accessibility to fine art and cognizant of obstacles that virtual galleries can place in a collector’s path, Long-Sharp invested substantial resources and years of experience as a collector and dealer to provide national and international buyers with security and confidence in the acquisition process. Long-Sharp Gallery warrants each work sold with extensive warranties as to condition and authenticity. Long-Sharp Gallery has placed works in important museums, corporations, and in public and private collections. 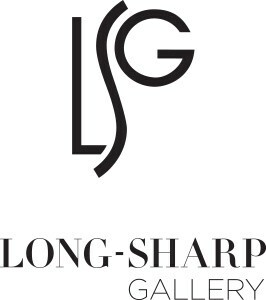 With modern and contemporary fine art clients on 6 continents, Long-Sharp Gallery is located in Indianapolis, Indiana. Along with being a member of various federal bars, Long-Sharp is also a member of the International Fine Art Appraisers and the Indianapolis Downtown Artists and Dealers Association.